Welcome to my Website designed to provide you with valuable information for your Hilton Head Area Home Purchase or the Sale of your Hilton Head Area Home. To complete either process, you will want to secure the services of a Local Real Estate Professional and I hope after visiting EdBrownRealtor.com you will decide to contact me. I have been a Real Estate Professional since 1977 with vast experience in several unique real estate markets and can provide you with the very best in Professional Real Estate Assistance. 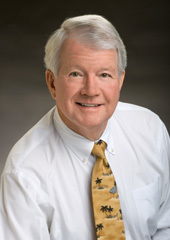 I would like to be your Hilton Head Island Real Estate Connection. I will put my experience in real estate to work for you from day one and will provide you with the highest level of professionalism, integrity, market knowledge, and business expertise. As a Pilot since the early 70's, I have learned and appreciate the importance of planning, organization and attention to detail and I utilize the same skills as a Real Estate Professional. Please contact me to discuss your specific Real Estate Objectives.